IN a June 17 Securities and Exchange Commission 8-K filing in the United States (SEC) Harley-Davidson announced that its board had authorized the extension of its share buy-back program announced in February. The plan is for Harley to acquire and retire a further 15 million shares of its common stock - some 7.2 percent of its outstanding common stock. 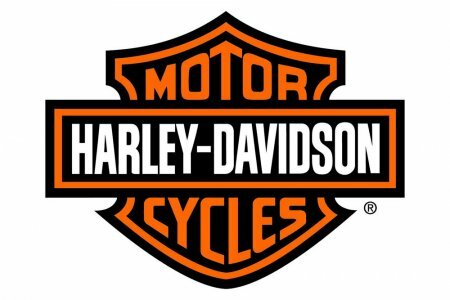 This new repurchase authorization is in addition to the buy-back launched by Harley-Davidson's board in February 2014 - one which saw the company bid for 20 million of its shares last year. However, what wasn't revealed in February was that Harley-Davidson is to issue $750 million of long-term debt in the third quarter this year to fund the repurchase. From trading at around $54.50 the day before the announcement, Harley-Davidson common stock saw some upward momentum by around 4 percent, to the $59.00 a share mark the day afterwards. As this edition of AMD Magazine went to press though, a week later, the share price had started to soften again - trading in the region of $57.85 and appearing to be headed south again; though at this stage analysts are still marking Harley's prospects as "stable" (Fitch responded with an 'F1' Issuer Default Rating) and as a stock "buy". Improving value to fend off raiders? There are several reasons why a company will launch share buy-back programs and one of the primary ones is as a tax efficient way of returning cash and value to shareholders. transpires that the share price was actually over-valued destroys shareholder value, especially where debt has been used. Another reason for share buy-backs can be because a company may take the view that of all the options it has for use of available resources, investing in its own shares is a better bet than acquisitions, R&D or new activity investments. In Harley's case, given the needs of their dealers to see the sluggish performance of key product areas re-energized, given where their sales and market share numbers have been headed recently (especially domestically), that clearly cannot be one of the factors in their thinking. Sometimes buy-backs are used to improve ratios, but adding debt rarely does that and even though it is a relatively cheap form of capital currently, it won't remain so for much longer, and using debt suggests that Harley does not have the spare resources needed for a value-return strategy. Corporate America has been obsessed with share buy-backs the past 24 months; near record levels of buy-backs have been happening - The Economist reports that in the 12 months to September 2014 American firms had bought back more than $500 billion of their own shares. If buy-backs are used to artificially prop-up a share price, especially if debt is being used, then investment in the activity of the business is probably being shorted and any short-term benefit from improved share prices or ratios is likely to unravel. The recent addiction to buy-backs has been described as "corporate cocaine". There is one other reason why a company may buy back its own shares, especially with debt - and that is to prepare itself for fending off raiders. As at the time of this new filing, 15.9 million shares remained outstanding under Harley's 2014 authorization, suggesting that the repeated absence of a Dollar limit on the price Harley pay for their shares, and the fact that they are now eyeing authority for repurchase of at least 30.9 million (15 percent) of its shares, suggests they may well be lining up ammunition for a fight, and seeking to dissuade unwelcome attention and to improve earnings per share and share value in order to keep existing investors "on-side". Fuelling a pre-emptive strike theory, having bought back nearly 9.1 million of its shares last year, Harley spent $182.5 million to buy back 2.9 million shares in the first quarter of this year - an average of nearly $63.00 a share, meaning that Harley is prepared to pay those investors who are prepared to sell a healthy premium. Following 35.5 percent and 31 percent hikes in its dividend in 2013 and 2014 respectively, this year's increase to 31 cents represents an increase of 12.7 percent - more reason for the company to be conscious of shareholder value in advance of hostile share buying.